It’s time to stop considering using the Internet to grow your business and start implementing. Businesses delay embracing ecommerce, online marketing, and social media due to lack of knowledge and overwhelming streams of information with no clear starting point. Here are 13 ways you can grow your business on the Internet starting with the basics. Register your domain name (i.e., MyBusiness.com). This is less than a $15 investment each year and it fundamental to engaging in business online. While you are at it grab your personal name, your kid’s names, etc. There is a little “gold rush” momentum around domain names so the quicker you grab yours the better. Start using your own domain name as your email address (i.e., Name@MyBusiness.com). It is nice that Gmail, Yahoo, AOL, Hotmail and other platforms give you free email addresses but you also are giving them free promotion. It’s 2010. The general public has a collective expectation that your business should be found online. If you do not have a website it’s time. It’s past time. If necessary, grab a template from your domain name hosting provider like GoDaddy and get a basics website online today. Please don’t stop there. Find an expert and have a professionally designed website built for your business to maximize exposure, SEO (search engine optimization), and usability on the internet. If you have not started this practice, START TODAY! Emails are a great way, if used responsibly; to keep your customers informed of events, specials, and other related announcements. Put a few signs up in your business telling your customers of specials that are announced only in your emails. Have an email signup form added to your website. Each time you talk with a customer on the phone ask them if they would like to receive specials and announcements via email and add them to your list. Again, use responsibly. Start a weekly email newsletter as soon as possible. Even if you only have 25-50 email addresses the benefits are great. Consistent clear communication with your customers builds their expectation for more communication and interaction with you. For newsletter content try a welcome paragraph, location information, open and close times, specials, new product features, introductions to products and services, links to your website, and links to social media outposts like Facebook, Twitter, and YouTube. Use a email service provider like MailChimp or Constant Contact for easy management and professionally designed templates. You can find links on my blog. Think of LinkedIn (http://LinkedIn.com) as your online Rolodex on steroids. This is a very underutilized free tool. Some perceive that LinkedIn is simply an online resume or CV repository and over look the hidden treasures here. Once you post your personal resume, accolades, and business information use the import tool to connect with your customers and vendors. Find new customers and deepen your existing relationships through participation in the discussion forums and by answering questions in your area of expertise. Use the provided widgets to link your Twitter feed and blog posts to display on your account. Don’t underestimate the value of relationships built here. It’s free and will serve as an effective gateway in to social media. Use it to keep in touch with your family, friends, and meet some new friends. A personal Facebook account also makes it easy to set up a Fan Page for your business. Fan pages on Facebook provide you and your business a free and easy to use platform to engage in online conversations with your customers and prospects. You will be surprised how many of your customers you will find your Fan Page on Facebook. Your customers and friends can choose to “like” your Fan Page which will then notify them of updates that you make there. This is a great place to offer discounts and coupons to show your customers love. Share photos, videos, and even random thoughts related to your business to allow customers to see the human-side of your operation. You can even announce events and manage RSVP’s there too. Twitter is a free micro-blogging community where you communicate with your followers in statements limited to 140 character in length. You can follow other Twitter uses and they also follow you back. Twitter is a fast moving interactive platform that is highly effective in communicating with customers and friends along with finding new ones too. You may want to sign up for two accounts. One for your personal name and another one for your business or brand. Search YouTube.com for “Twitter in Plain English” for a primer on Twitter. Twitter search (http://search.twitter.com) is a powerful tool in finding friends and potential customers. For a real treat click on “Advanced Search” and start mining the gold. I just did a search for people who tweeted (talked about) “sushi” within a 15 mile radius of Tampa and found 45 Tweeters (people) who have tweeted about it within the last 24 hours. If I was a sushi restaurant I would follow these people and maybe offer them a discount for stopping by. Passionate about your business? Blog about it! A blog is simply an online journal of thoughts and information but do not underestimate the power of a well written one. Many businesses have replaced the home page of their websites with a blog. Blogs help build interactive, engaging and deep customer relationships through telling the story behind you, your business and customers. Foursquare is a brilliant online GPS oriented game that can bring customers to your door. Head over to Foursquare.com set up a free account and search for your business. If you are not in the database you can add your business as a venue. You do not need to have a GPS enabled phone like an iPhone, BlackBerry, Android, or Palm to join… but you will miss out by not being a player. Once you are set up as a venue you can offer your customers and potential customers specials and deals when they check in on Foursquare while visiting your business in person. When someone check-in more than twice at your business they will become the “Mayor” until someone else visits more and ousts them. Cater to your “Mayor” with gifts and specials to keep them coming back. Many people do not realize that YouTube is the second largest search engine right behind Google and surpassing Yahoo. Behind the scenes videos of you and your business along with customer testimonials are extremely effective in building trust and loyalty with your customers and prospects. You can set up a YouTube “channel” for your business for free. A channel can be themed to look like an outpost to your website by adding your business’s logo and information. 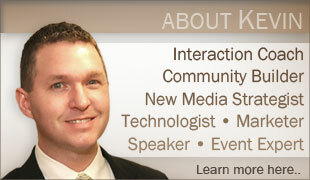 Don’t forget to embed those videos on your website, blog and Facebook pages. Rome was not built in a day, nor was Amazon.com. It takes time to grow your business on the Internet but each day that you wait to get started will delay your harvest. Plant some seeds today! This entry was posted in Marketing, Social Media and tagged Business, Facebook, Social Media, Twitter. Bookmark the permalink. Post a comment or leave a trackback: Trackback URL. What is the Cost of a New Customer? Powered by WordPress. 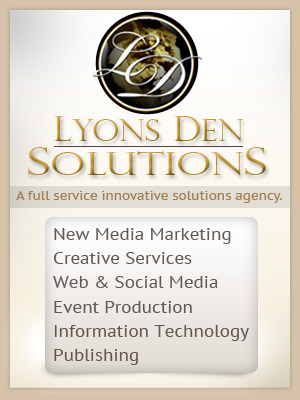 Theme design and development by Lyons Den Solutions.